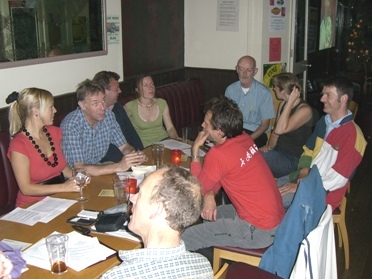 We hope you can join us for Lambeth Cyclists' meeting this evening (15 May 2012) 7:30pm upstairs at the Priory Arms pub, Lansdowne Way, Stockwell, SW8. The Priory Arms is a great pub with a good range of beers and food - see www.theprioryarms.co.uk/ for information on the pub. Tonight's meeting is our annual meeting at which we will be looking back on the year and electing a new management committee. After the formal part of the meeting (from about 8pm onwards) we will be having drinks to thank our current Borough Coordinator Philip Loy who is standing down after 12 years in post. It would be great to see you for all or just the second part of the meeting!